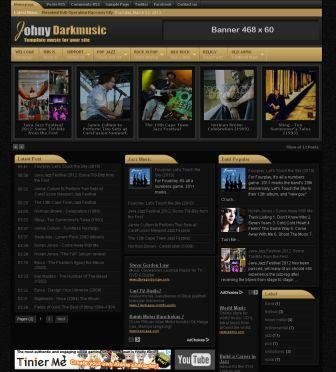 Dark Music is suitable for blog that have music or portal news contains. It's a 3/4 column blogger template with 2 right sidebar, static page ready, 3 column footer, magazine style blogspot template with black and brown color, automatic slider carousel, ads ready, pagination for blogger ready, drop down menu, clean design template, and more. This template designed especially for content music review or news but you can use it for any content with daily updates.